Pizzas in different sizes. Fast service. Kebab is good as well. All in all good value for money if you want pizza. An ok take way restaurant if you want pizza. I think it's quite average, but the kids prefer it because it serves kebab pizza. I tasted a lot of kebabs. 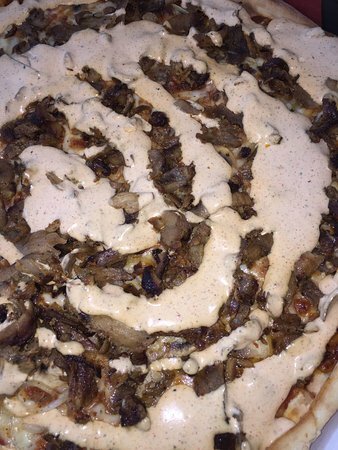 Different kebabs, but this one is one of the best, that I've ever tasted. Big, full of meet. RECOMMEND!!!! Good place for some good fast food. They serve pizza, burgers and their speciality kebab. Very tasty after a night out. The best Gyro kebab ever! 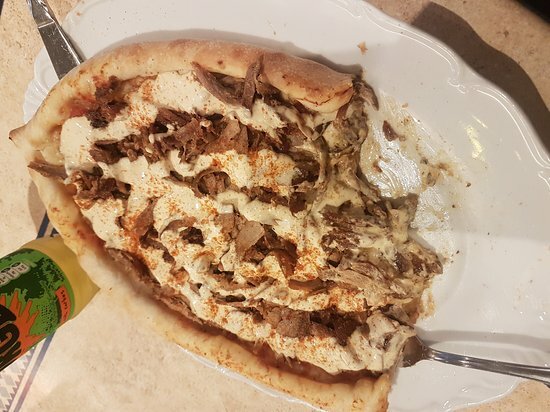 MFK (aka Kebab) Pizza is outstanding! There are two dishes I order here. 1) MFK Pizza and 2) Kebab tellerk with fries. Both are beyond delicious. Tables could be cleaner, but isn't a deal breaker. Best to order out. Get quick answers from Pizzeria Campino staff and past visitors.